The MusicLink Foundation is a non-profit organization that provides long-term instruction and opportunities to promising children in financial need. Nominated students who meet MusicLink’s criteria are linked with professional music teachers who provide partial to full scholarship lessons for the child. SAA Teachers and programs can become involved in several ways—through nominating students or through volunteering to teach a student in need. Students are nominated by schools and youth organizations or teachers who observe commitment and interest in music lessons. The MusicLink Foundation provides incentives such as reduced or free music, assistance with instruments for students, camp scholarships, and small grassroots or teacher reimbursement grants to cover fees and materials for students. MusicLink has reached over 2,800 students from 40 states, with teachers providing $4.5 million of in-kind donated instruction to the program. We are pleased to form an alliance with the Suzuki Association of America, to encourage Suzuki teachers across the country to reach out to a deserving student through MusicLink. You may already have a scholarship student (teaching at half or less your normal fee) that would qualify you as a MusicLink teacher. You can register this student through our website and become part of the program right away! Simply go to www.musiclinkfoundation.org click on “How to participate” and complete the registration form for your student. We know we will enjoy a successful partnership with Suzuki teachers across the country. The SAA is pleased to join with many other music organizations who support MusicLink. We are committed to offering materials to Suzuki student families selected for the MusicLink program. Working with summer institutes, SAA hopes to help sponsor some student summer institute opportunities to qualified MusicLink students, as well. 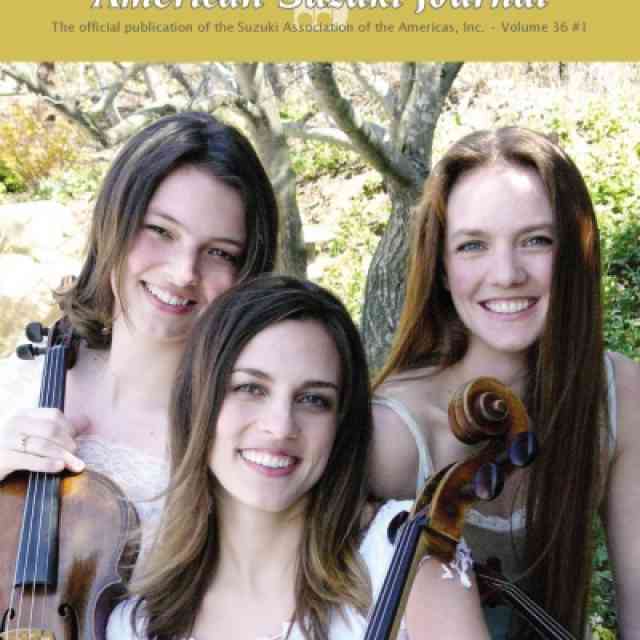 I first read about the MusicLink Foundation in a short article in American String Teacher. Since I was already giving scholarships to several students in my studio, I contacted MusicLink and enrolled them in their program. My school received a Grass Roots Grant almost immediately which was used for music and materials. Two of my students, siblings, were in desperate need of decent instruments and the family had no means of obtaining them. I applied to MusicLink and we were very pleased when both a violin and viola were awarded. These students have also received summer camp scholarships and had the opportunity to travel to Washington D.C. to perform at the MusicLink Summit in June, 2007. They have benefited greatly from the assistance MusicLink has given them. The MusicLink Foundation provides valuable assistance and encouragement to music students who would otherwise not have the opportunity to experience quality music education.